Dunbars Purchase Hofmann’s Lures Inc. – Hofmann's Lures Inc. The Dunbar family is pleased to announce that they have purchased Hofmann’s Lures Incorporated from Denis Short & Steve Spitzer of Greenville, OH. We would like to thank the Shorts and Spitzers for their hospitality during this process. 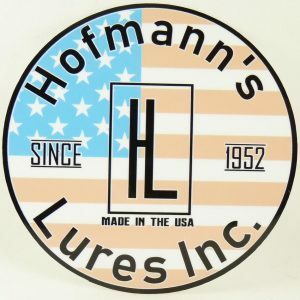 We will continue to produce all of the Hofmann’s lures and add an additional line in the spring of 2019. All lures will continue to be manufactured with the same process and Made In The USA. It is very important to us to maintain the rich history and perfection that Jack Hofmann and his brother Frizz created and we will do our best to see this through.